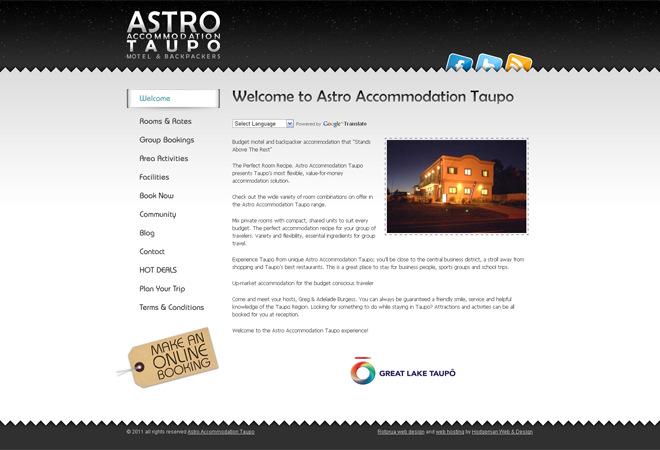 The managers approached us after visiting the Astray Motel & Backpackers website that we developed. Both properties used to belong to the Microtel chain which Astro was also removing themselves from. They wanted a clean, modern website that was easily to update and that could push content from their blog to their Facebook and Twitter social media accounts. It was a simple decision to use the WordPress content management system (CMS) to power their site and once they had learnt of the benefits and how easy it was to manage they were happy to use it. If you’re website is looking a little tired on it and you need to start taking advantage of the power of social media, contact us today to see how we can help you.